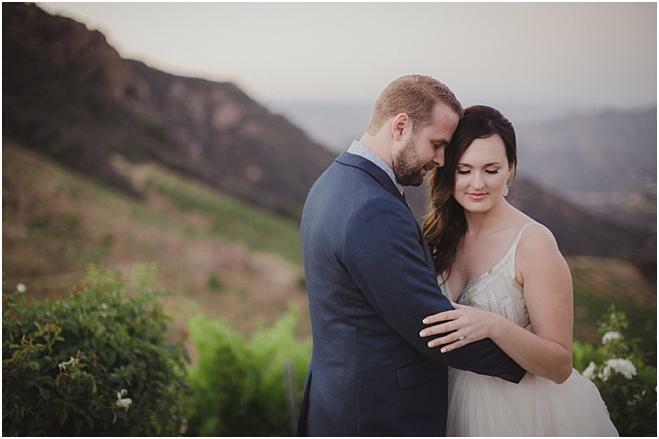 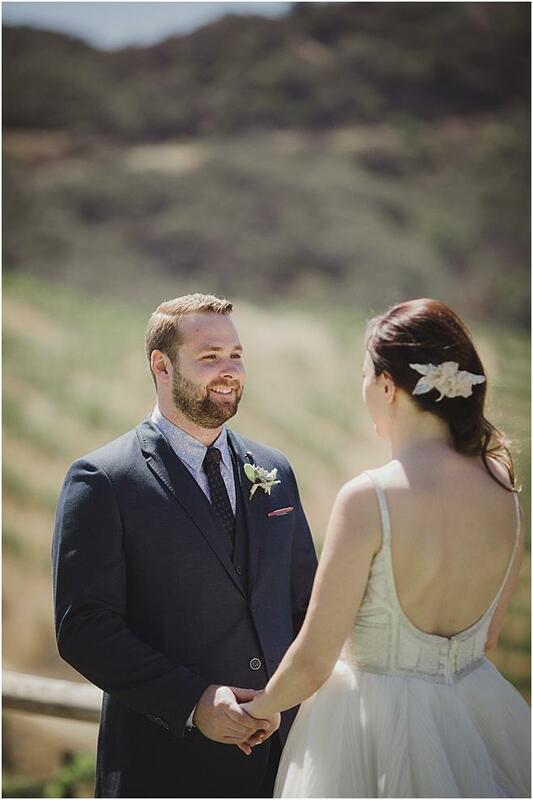 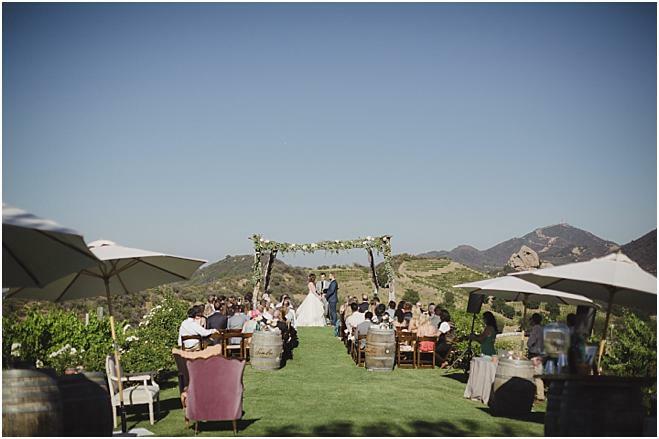 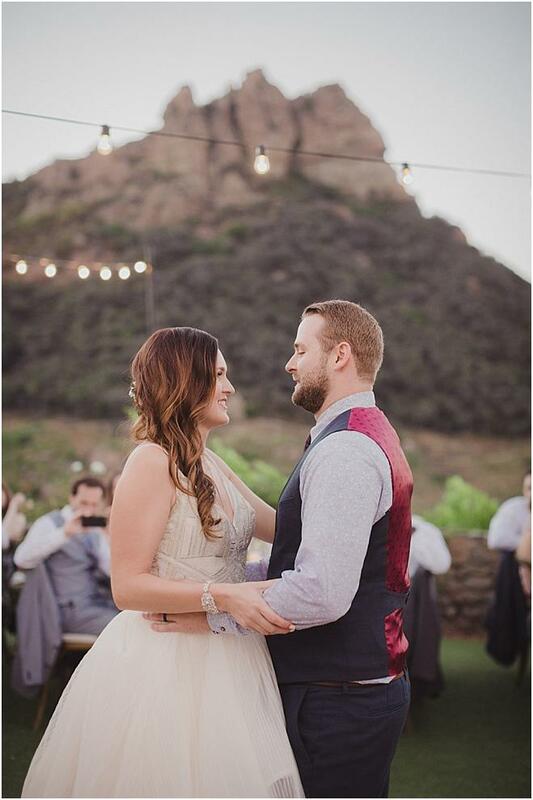 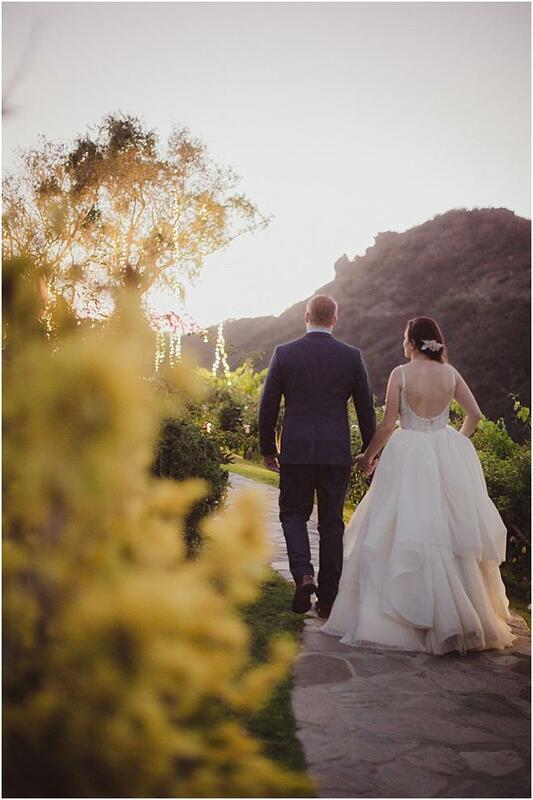 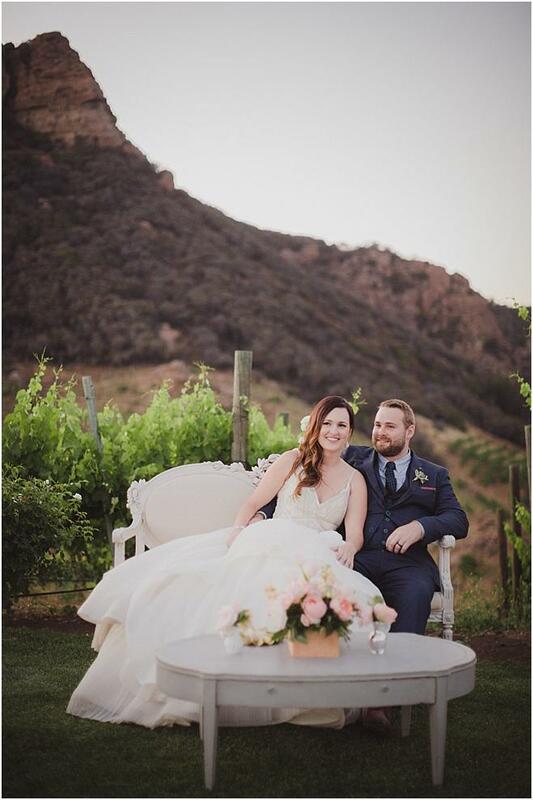 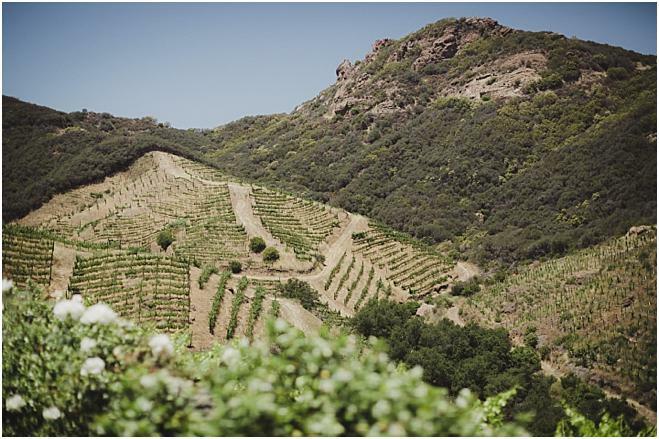 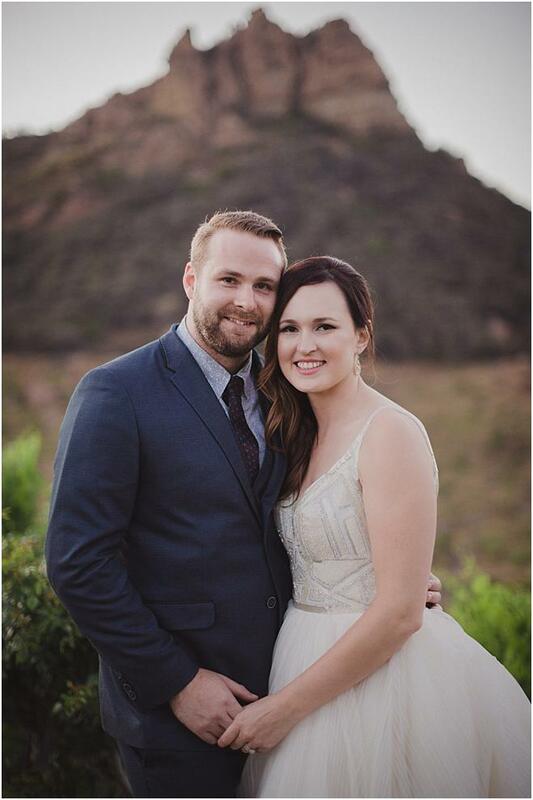 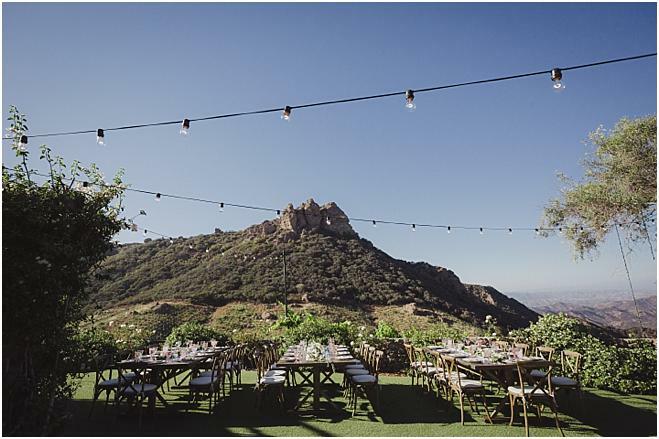 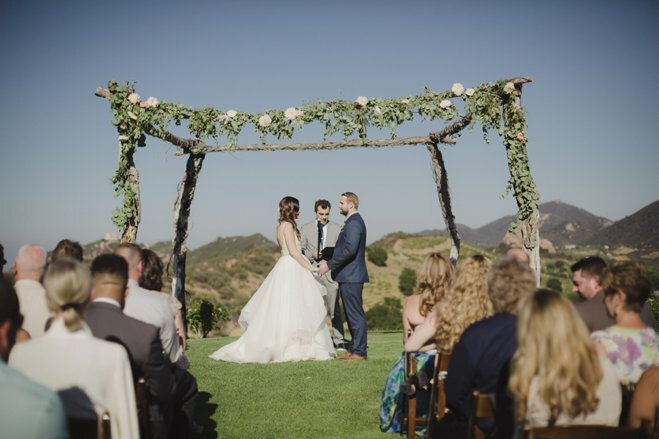 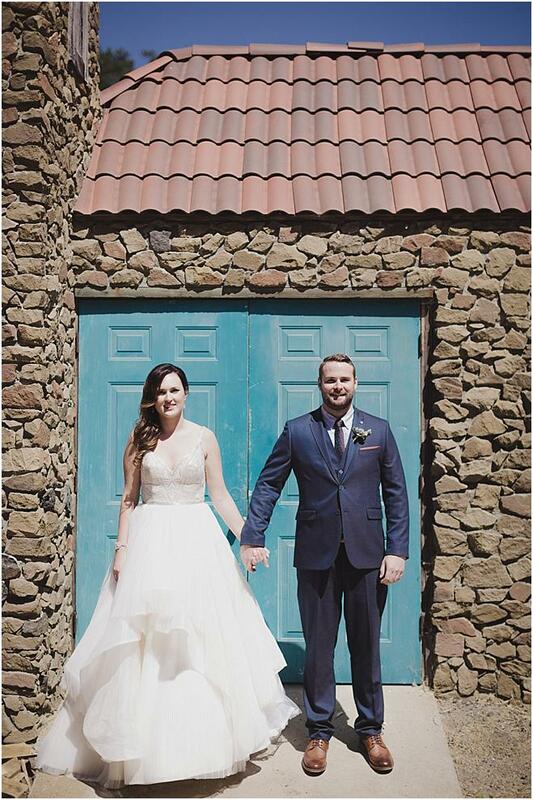 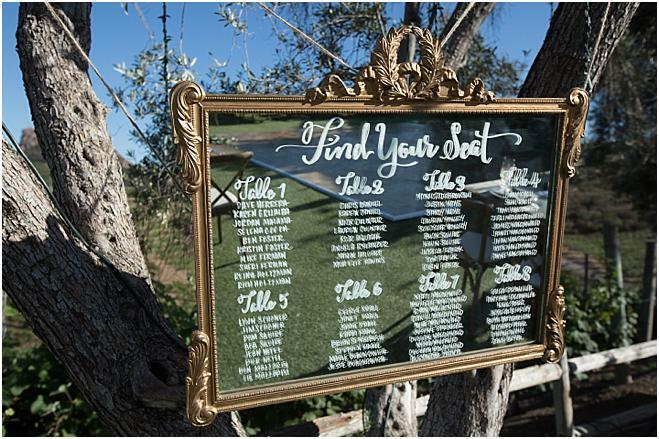 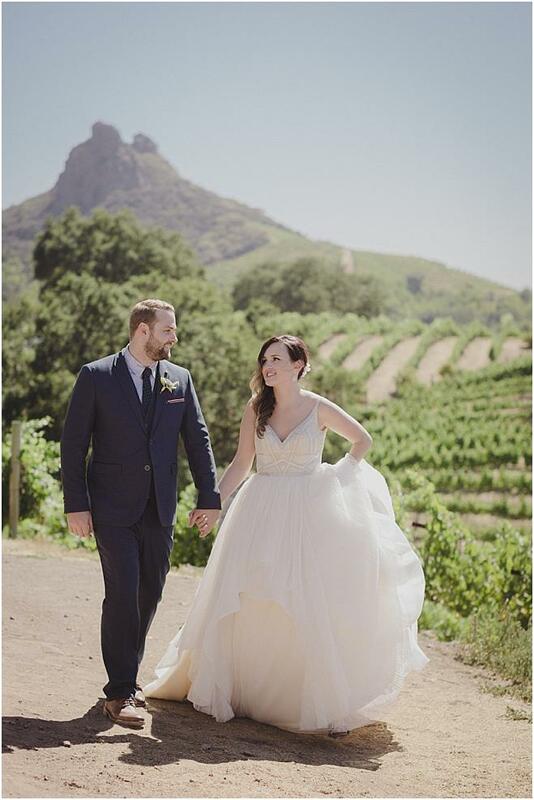 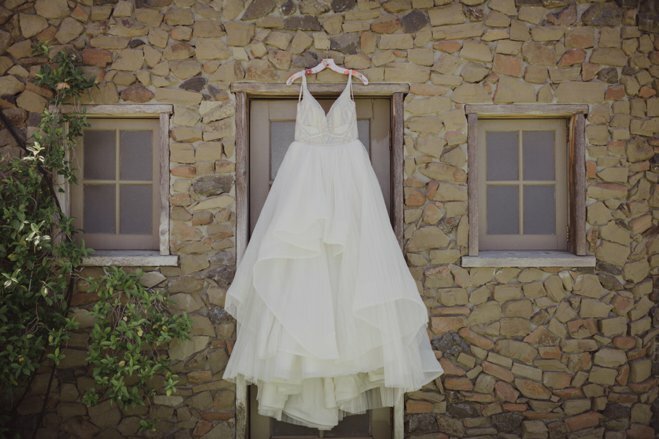 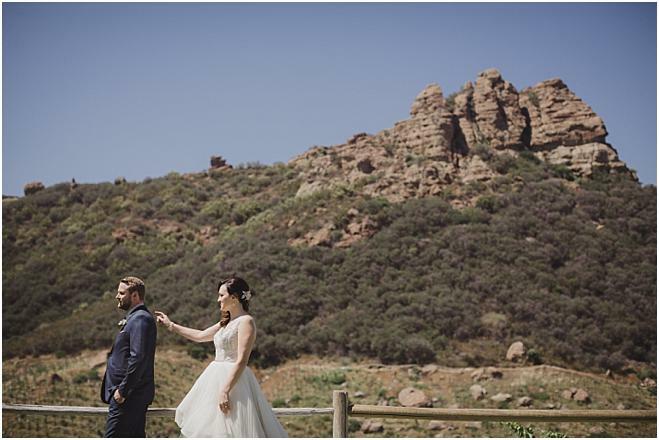 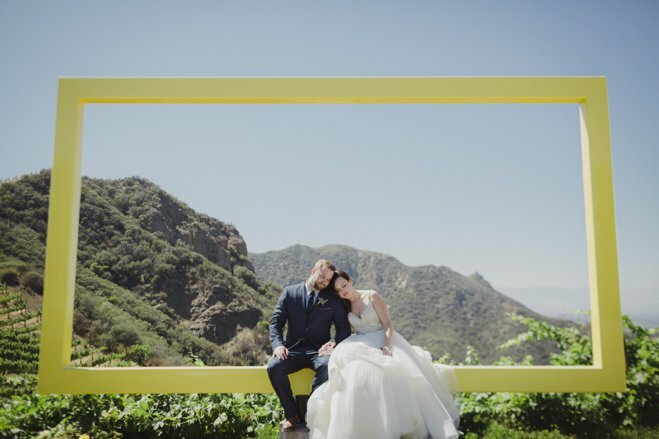 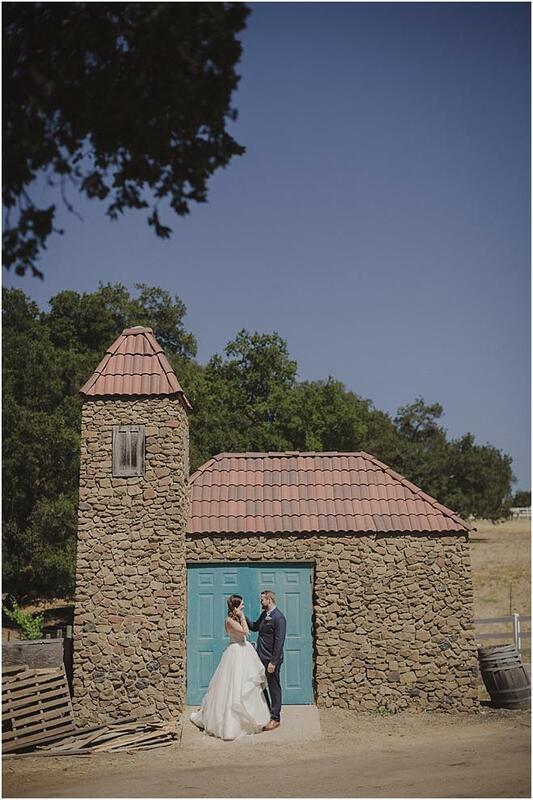 The gorgeous hills of Saddlerock Ranch served as the most amazing backdrop for Stephanie and Eric's sweet Malibu wedding. 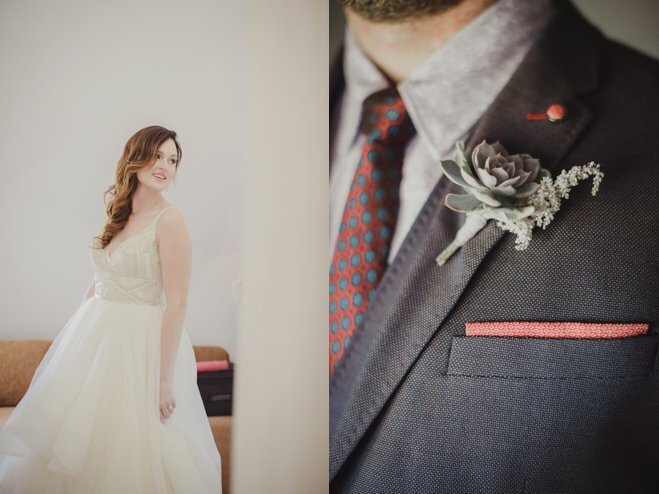 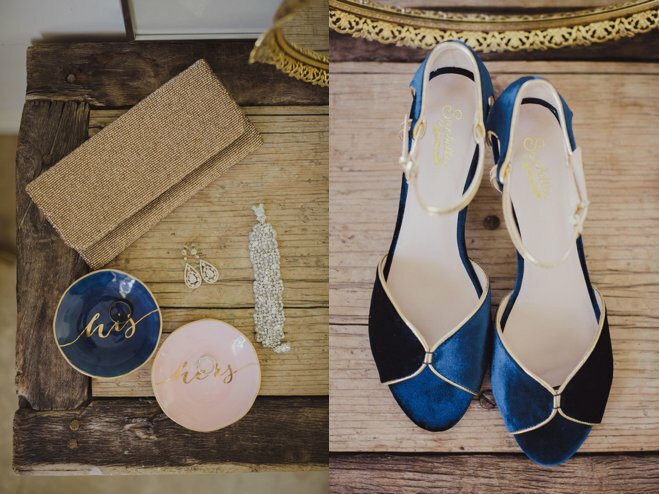 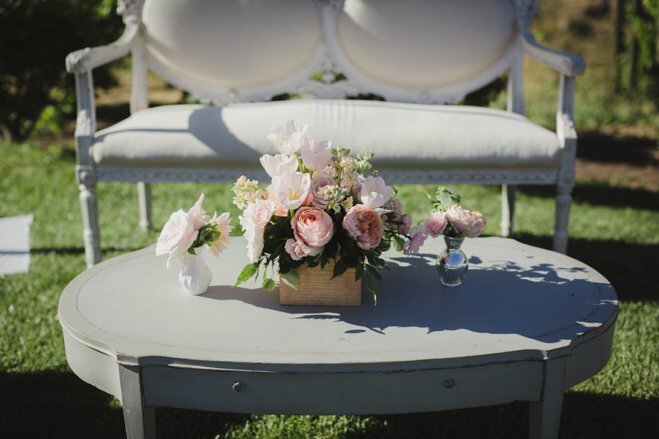 Neutral hues of blush and pink blended beautifully with sharp pops of gold and touches of blue, the perfect palette for an elegant vineyard wedding. 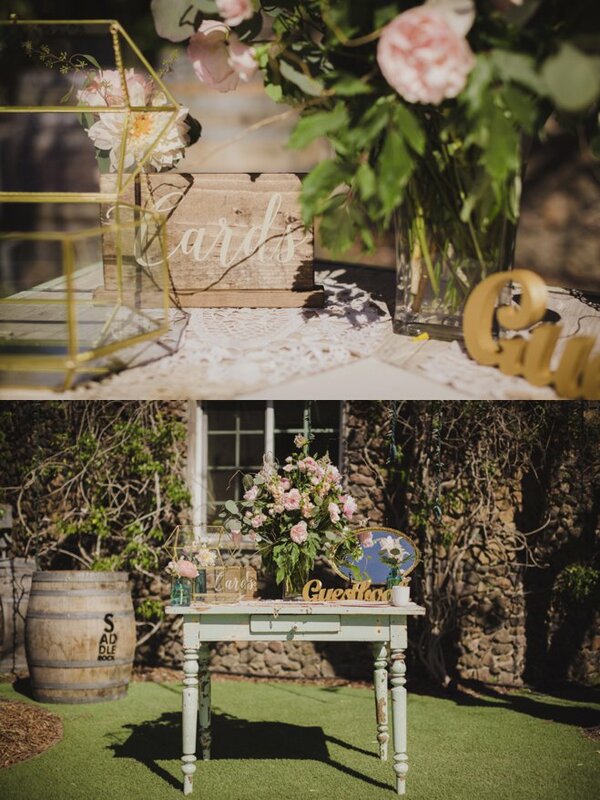 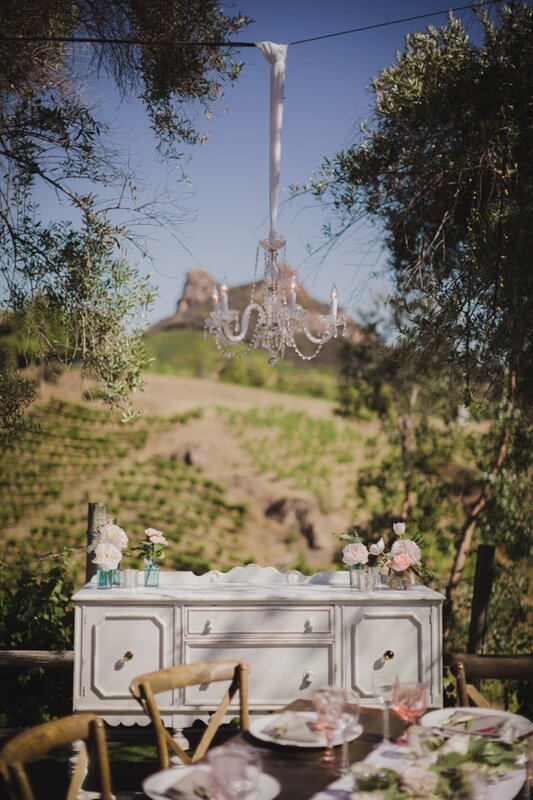 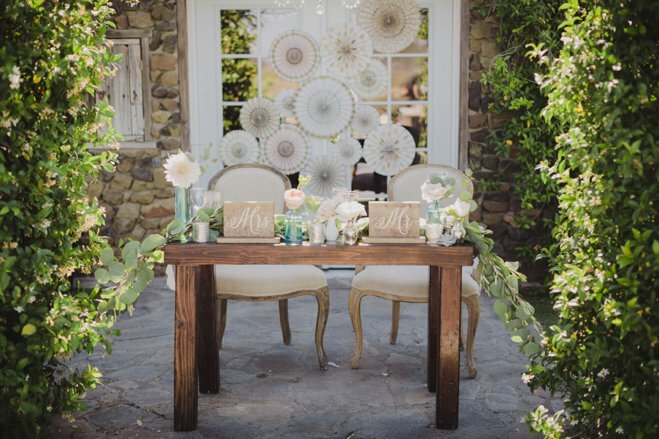 A stunning altar made of rustic wood donned in florals made for a scenic spot to say "I do," including breathtaking vineyard views and a beautifully decorated intimate ceremony space by Marisa Nicole Events. 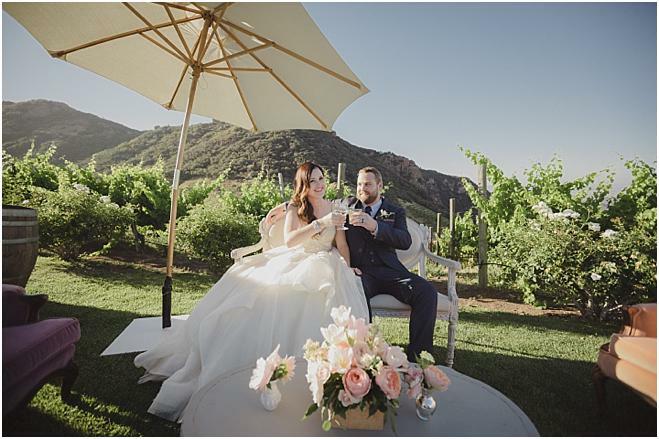 Barrels and mismatched chairs added to the vintage feel of the space, while umbrellas made for a relaxed vibe and provided shade from the California sun. 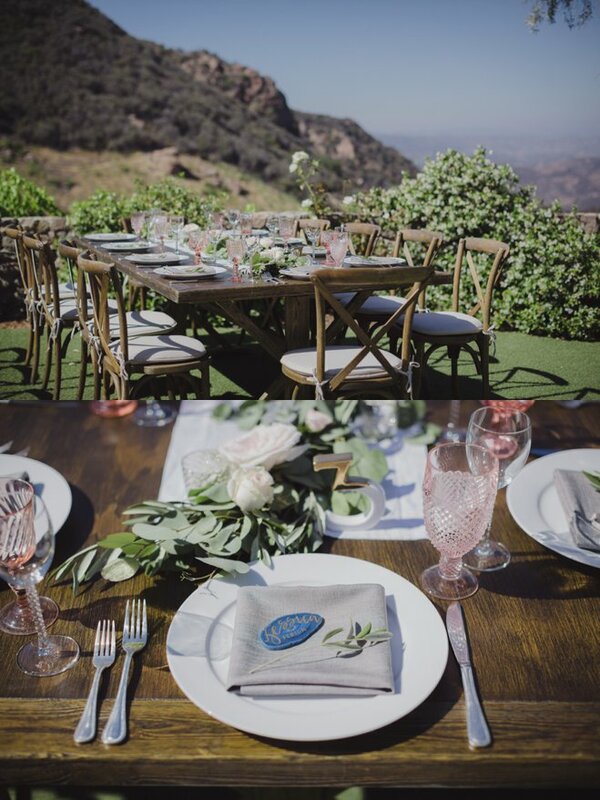 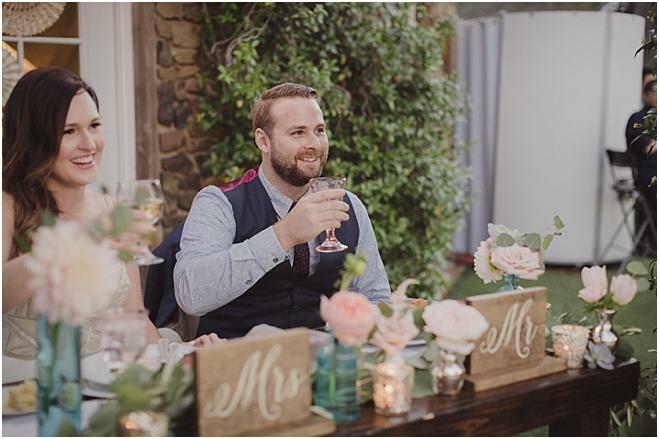 Long family-style tables beneath pretty strung lights created a lovely reception area, with romantic florals in shades of pinks and creams paired with greenery from Boulevard Florist and gorgeous place settings garnished with striking blue agate crystals for a hint of glam. 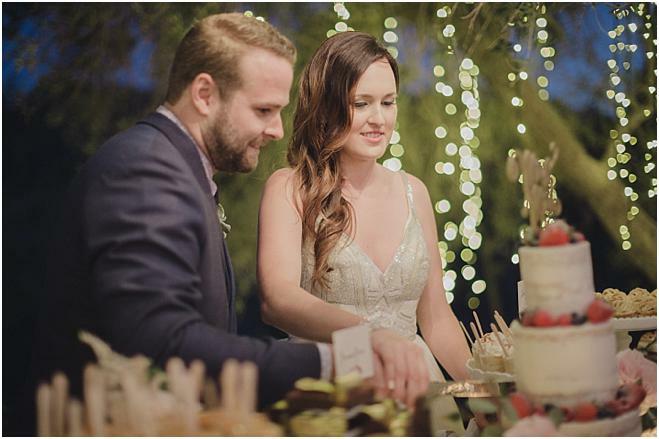 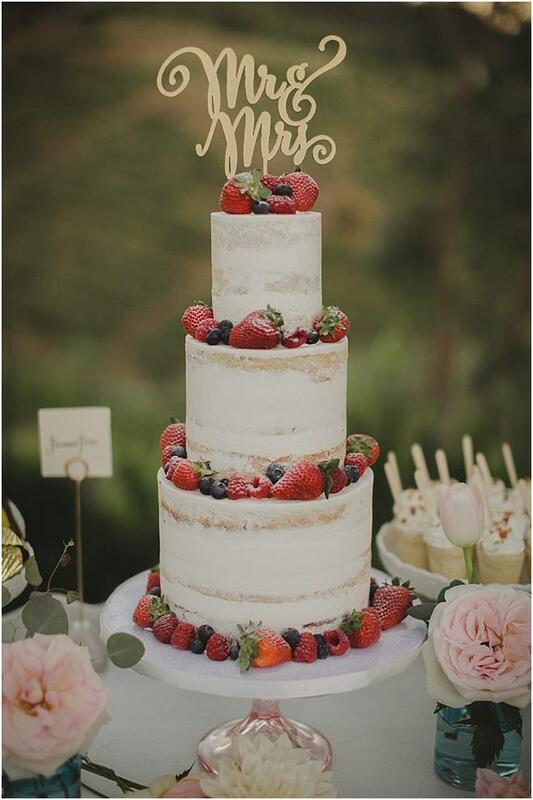 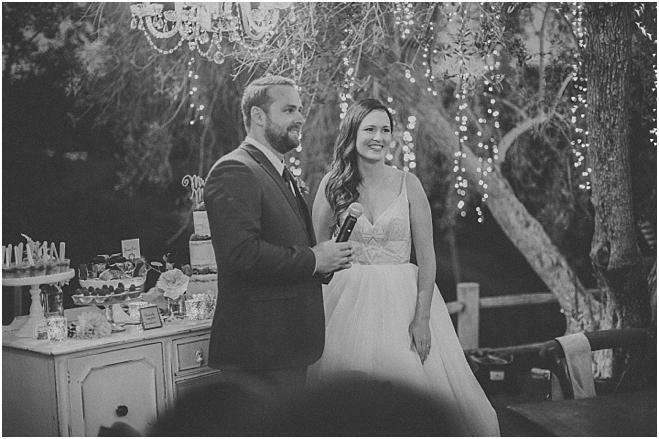 Stephanie and Eric are major foodies, so it was only fitting that a grand dessert table and a beautiful three-tiered cake from Sweet and Saucy Shop followed the delicious dinner catered by Tres LA. 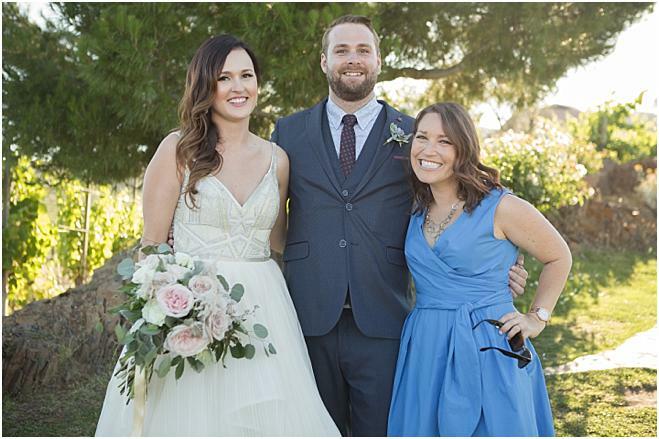 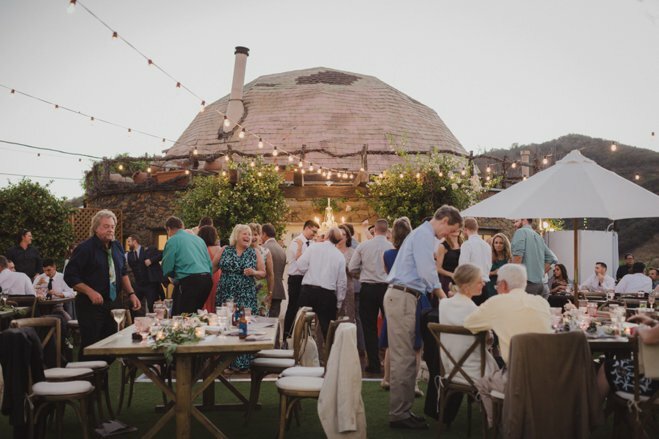 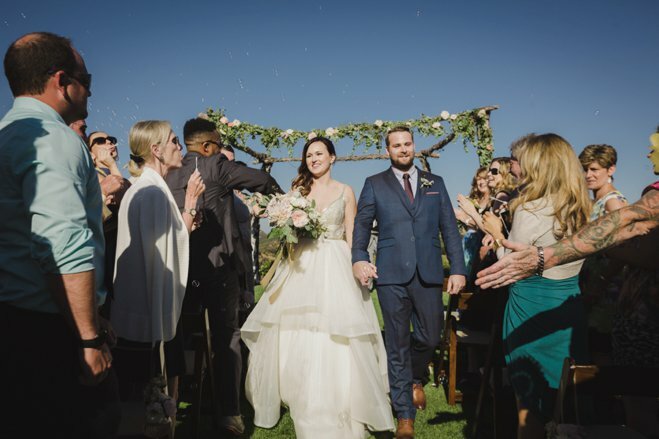 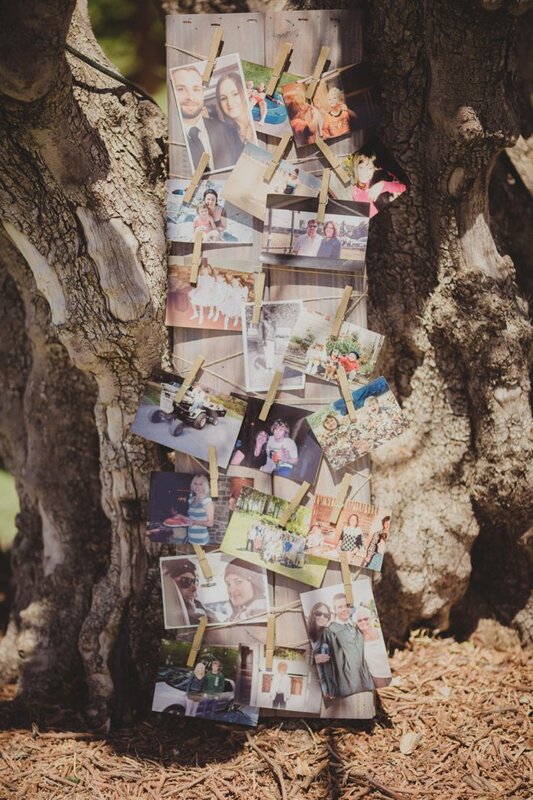 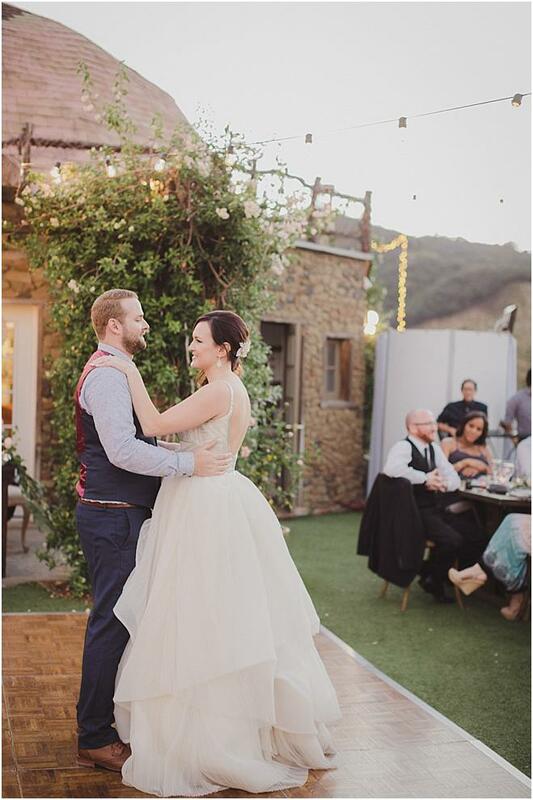 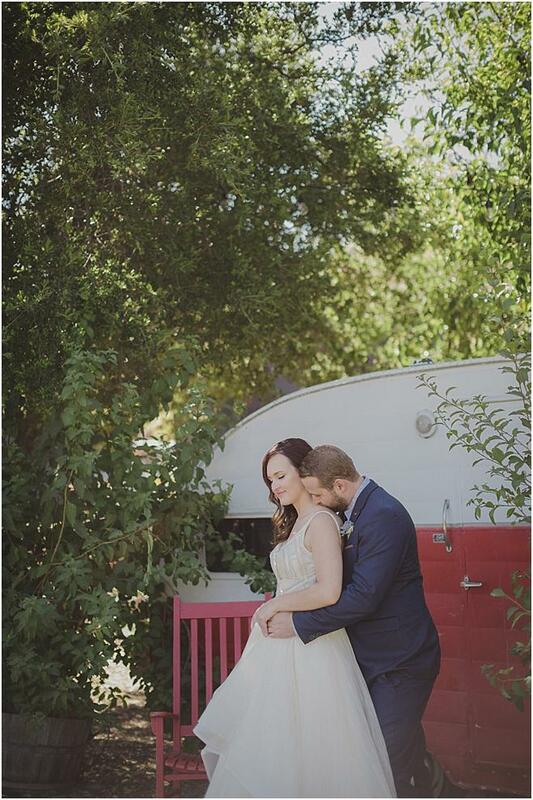 The couple celebrated with guests as the sun went down, dancing for the first time as husband and wife and reveling in the beauty of their awe-inspiring wedding day.